The eighth Blue Corridor NGV Rally 2014 will be held from October 7th-31st, demonstrating the benefits of the transportation fuel of the future: natural gas. Blue Corridor sponsors Gazprom and E.ON will be driving natural gas vehicles (NGVs) from St Petersburg, Russia to Moscow, Russia with stops in Poland, the Czech Republic, Germany, Austria, Italy, Slovenia, Croatia, Serbia, Hungary and Belarus. The rally will demonstrate the environmental and economic benefits of natural gas in transport as it drives across the Baltic States. But the Blue Corridor NGV Rally 2014 will not just consist of a motorcade of clean, low-cost and safe cars. We’ll also be hosting a number of fascinating roundtable discussions offering a glimpse into the future of transportation. Here on Blue Corridor you can join industry representatives, policymakers, environmentalists and auto enthusiasts along the 6,600 kilometre trek, as they explain how using natural gas in transportation is an affordable, environmentally friendly and safe alternative to petrol. These events will also provide opportunities to take a tour of an NGV facility and get a close-up look at some of the innovative NGVs on display. Now on its eighth tour, Blue Corridor was developed to encourage the establishment of the infrastructure needed to create a natural gas highway across Europe. This infrastructure – especially the construction of a sufficient number of natural gas filling stations and the transport of the fuel to them – will empower more drivers and fleet owners to purchase NGVs by ensuring that they can drive them anywhere. Blue Corridor counts some of the most prominent energy suppliers, car companies and nonprofit organizations among its many supporters. Find out more about them below, including facts about their efforts to promote clean natural gas as a transport fuel. Amoplant: This Latvian bus producer is committed to increasing the use of clean natural gas in municipal passenger vehicles. 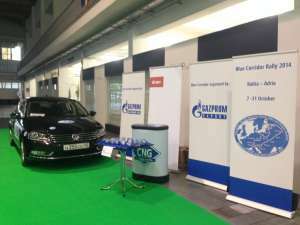 CNG Auto: CNG Auto is an important part of natural gas’s future in Poland, as it helps promote the use of compressed natural gas (CNG) in transport in the country. Daimler: Daimler’s Shaping Future Transportation initiative aims to use natural gas in transportation to significantly reduce fuel consumption and exhaust emissions in commercial vehicles. Daimler offers vehicles that run on both CNG and liquefied natural gas (LNG). E.ON: E.ON has worked with Gazprom for many years on scientific and technical projects regarding natural gas vehicles (NGVs), and the company is one of the most prominent participants in the Blue Corridor NGV Rally. EESTI Gaas: Even though there are only four CNG filling stations active in Estonia, more are in the works: EESTI Gaas is planning to construct filling stations in Narva this year and set up specialized filling stations for transport enterprises if necessary. Gasum: 16 of Gasum’s stations in Finland sell CNG, and its network is continuing to grow. Gazprom Export: Gazprom Export is working with all other Gazprom subsidiaries to promote the of use natural gas in transportation and help battle climate change. Gazprom Gas-Oil: Gazprom Gas-Oil has an important role in helping promote natural gas in transport in the Kaliningrad region, where it has been involved since the 1990s. Gazprom Germania: This Gazprom subsidiary, which already operates six natural gas filling stations around Germany, plans to open an additional four by the end of the year. Gazprom Germania is also the sole supplier of CNG vehicle fuel for Volkswagen’s Scirocco R-Cup racing series. Gazprom Neft: The company recently announced it will be installing NGV fueling units at its existing filling stations, as well as new multi-fuel filling centers currently under construction. HMN Naturgas I/S: This Danish natural gas distributor, a member of NGVA Europe, is committed to the use of this clean and low-cost fuel in the transportation sector. Iveco: Iveco has natural gas offerings for some of its automobiles, providing the most extensive range of CNG vehicles on the market. The company has also collaborated with Gazprom on NGV development in Russia. Kamaz: Kamaz has been heavily involved in global efforts to support natural gas in transportation, with one of its NGV trucks even completing the Silk Way Rally off-road race. Gazprom has coordinated with the company to promote clean natural gas as a transport fuel, as well. Latvijas Gaze: This Latvian natural gas company will play an important part in the continued growth of NGVs in the country. Lietuvos Dujos: This Lithuanian company, jointly owned by E.ON, Gazprom, the Lithuanian State and small shareholders, promotes the use of clean natural gas in the country’s transport sector. MAN: MAN has offered vehicles that run on clean natural gas for more than 40 years and continues to invest heavily in the research and development of vehicles that contribute to sustainable mobility. Mercedes-Benz: Mercedes offers natural gas options for some of its B-, C- and E-Class passenger vehicles, as well as its Sprinter van and Evobus. The National Gas Vehicles Association of Russia (NGVRUS): This nonprofit group is important to the promotion of natural gas in the Russian transportation sector. It expressed strong support for Prime Minister Medvedev in May, when he signed a decree expanding the use of this clean fuel in Russian transport. SG Dujos: SG Dujos plays a key role in helping Lithuanian urban public transport companies upgrade their fleets to run on CNG, as well as design and develop the infrastructure for CNG refueling stations. Solbus: Last spring, Gazprom Germania, Solbus and transportation company MZA sponsored a program to introduce LNG to city bus lines in Poland, making it the first European country to do so. VEMEX: VEMEX is coordinating with Gazprom Germania to open seven natural gas filling stations in the Czech Republic and Slovakia. 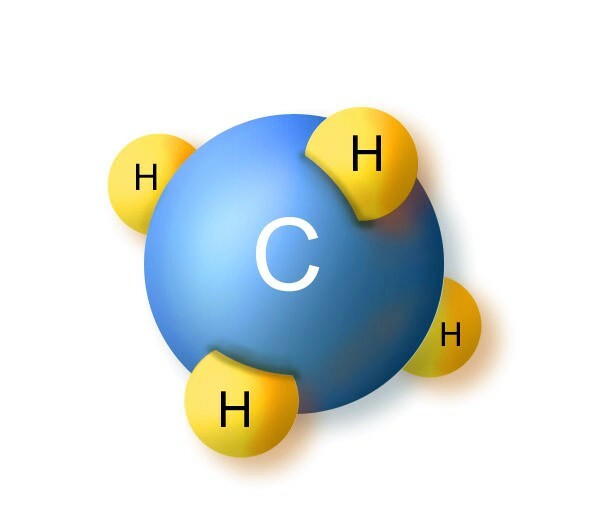 Volkswagen: Volkswagen offers passenger cars that run on natural gas under its “EcoFuel” label, with much fewer emissions compared with a conventional petrol engine. The company also has bi-fuel cars and CNG-fuelled vans, and runs the Scirocco R-Cup race series.